La Cavalerie produced these two tv commercials for Cossette and SEPAQ. 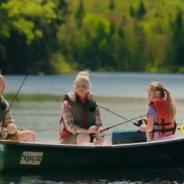 The campaign shows how you can live away from you smartphone while escaping to one of the Quebec national parc and reserve. All the post was done at La Cavalerie where I graded the TVC on their Resolve station. I hope to have better compressed files soon. 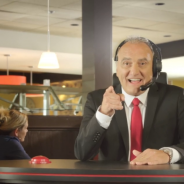 TVC: Pizza Hut et Ron! Here is another TVC I graded at La Cavalerie. This 30 sec tv commercial is part of a bigger campaign to introduce new kids of pizzas at Pizza Hut. It was shot on Red Epic and graded on Resolve. Pizza Hut – Routine from La Cavalerie on Vimeo.